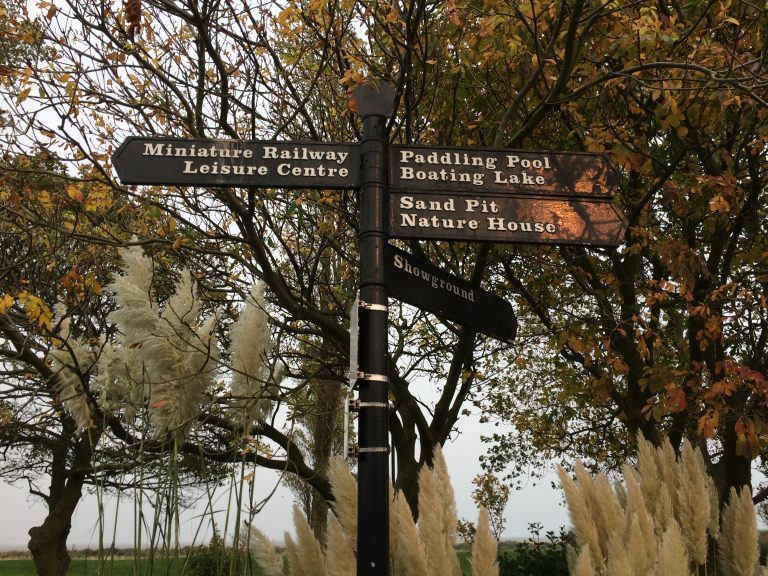 Haven Thorpe Park, Cleethorpes Review: Family Holiday With A Toddler - Why We Absolutely Loved It! We’ve just got back from a long weekend at Haven Thorpe Park and loved every single minute. 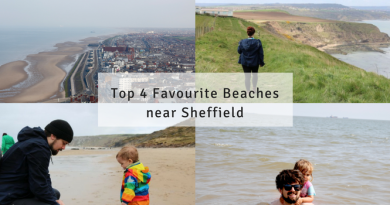 It’s not our first visit to Haven parks, in fact, we have already been to one this year: Reighton Sands in Filey, and last year we had a holiday at Blue Dolphin, also in Filey. You could say we LOVE Haven, haha! It was our first time staying in one of the new standard extra comfort and they are a lot nicer than the old standards. Most importantly, they include heating! Which is an absolute must, trust me, caravan’s get very cold without central heating!! On our previous holiday early this year at Haven Reighton Sands we stayed in a prestige and that was absolutely lovely, so we were worried what to expect having previous to that stayed in an old standard which wasn’t great. We wanted to save money so we didn’t upgrade and stuck with the new standard. I’m glad we did! It was very good value for money; I booked via Sun Savers Holidays and the holiday came to around £85 for 3 nights for all of us including entertainment. The caravan was clean, homely, was equipped with kitchen utensils, glasses, crockery, TV and the beds were made up on arrival. 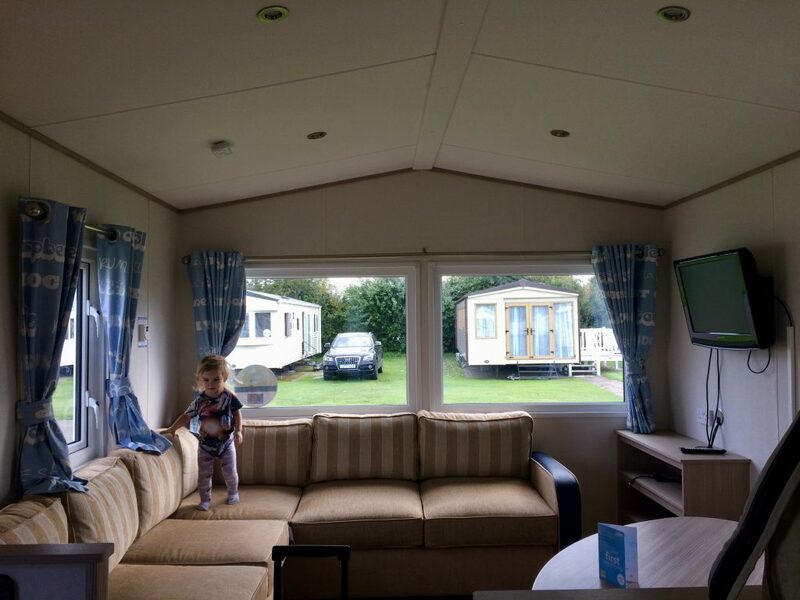 We have booked directly with Haven before and got very good deals, Haven holiday parks are fantastic for families on a budget. The bathroom was clean, as was the whole van, felt modern and new. No disappointments there at all. 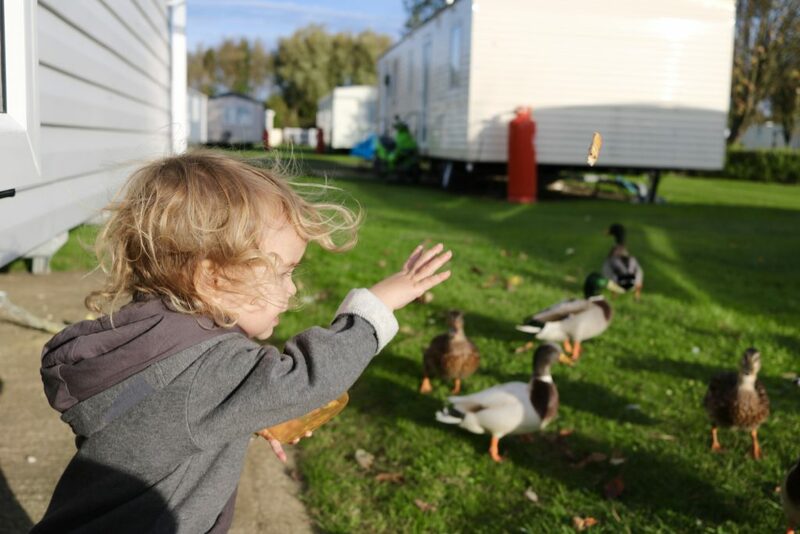 Oh, and pretty much every morning, Eric fed the friendly ducks who hung out outside the caravans which is the cherry on the top for a toddler. 1. The park is really easy to get to. 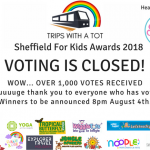 This is very important for us as we use public transport, and in the past, getting to Filey for the Haven parks there has not been impossible but has taken a very large chunk out of our day and has made for a miserable young child! Getting to Filey by train takes over 3 hours and then there is a taxi or bus ride to the haven parks. In comparison, Thorpe Park in Cleethorpes is much closer, and cheaper. Trains take 1 hour 45 minutes & when booking a few days in advance, our trains for 2 singles cost us £13. 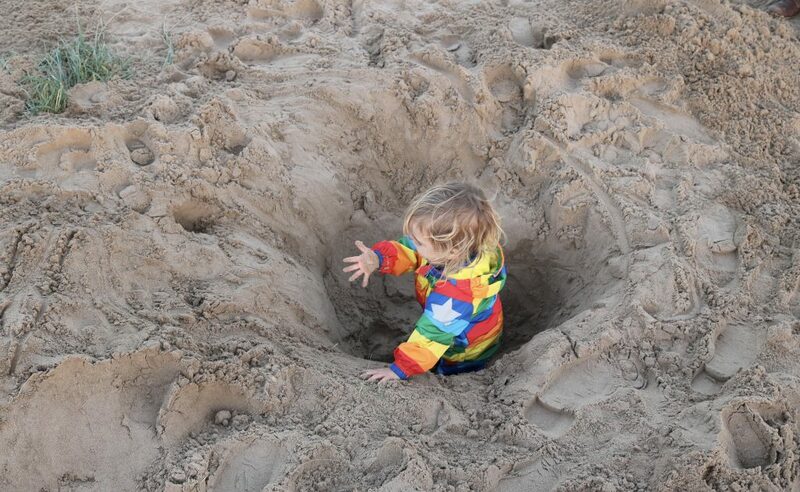 The train station in Cleethorpes is right on the beach, so once you’re there, you can get some food, play in the arcades, have fun on the beach or find somewhere to relax before heading to the park. We walked to Thorpe Park from the train station which was a very pleasant stroll straight along the sea front, through lakeside, and it was really picturesque. Along the seafront there’s a boating lake and a nature reserve. It took us over an hour but we have luggage and we went at a slow pace. Buses are very regular to just outside the park and it takes only around 10 minutes from Cleethorpes town centre. I really enjoyed the walk to the park along the beach when we arrived & that was a highlight of my holiday. 2. The park is surrounded by many beautiful areas. The whole area is really picturesque and this made our holiday more than just a break because there was so much to see right near the park and in Cleethorpes itself. 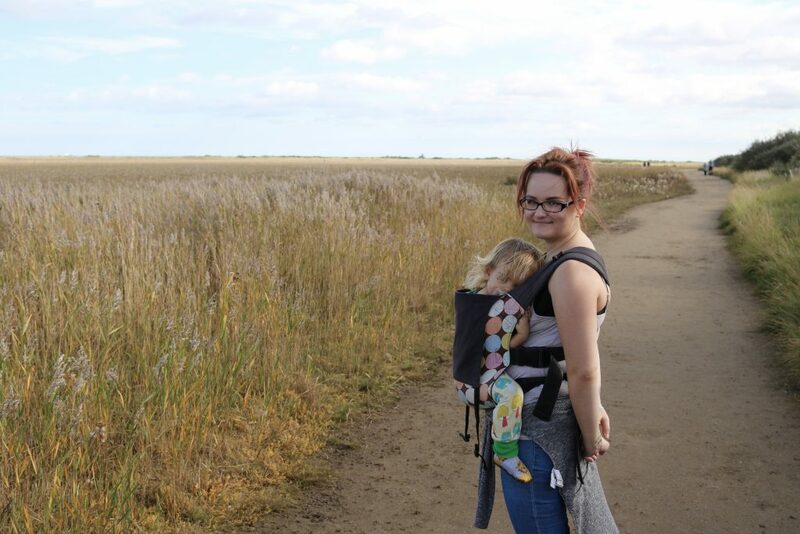 Cleethorpes is home to a nature reserve which, part of it, is actually on Thorpe Park so there is lots of nice walking opportunities. 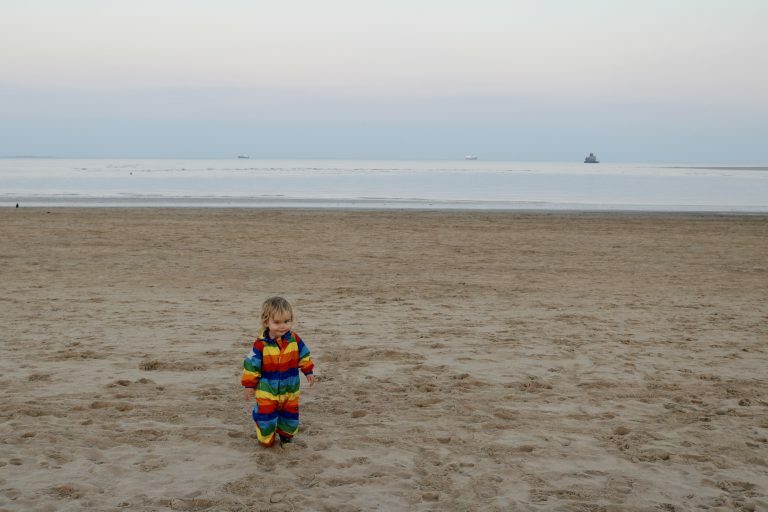 The beach is very clean and we had a great time just relaxing and playing on there watching the sunset, and equally, the walk into cleethorpes is lovely, too. 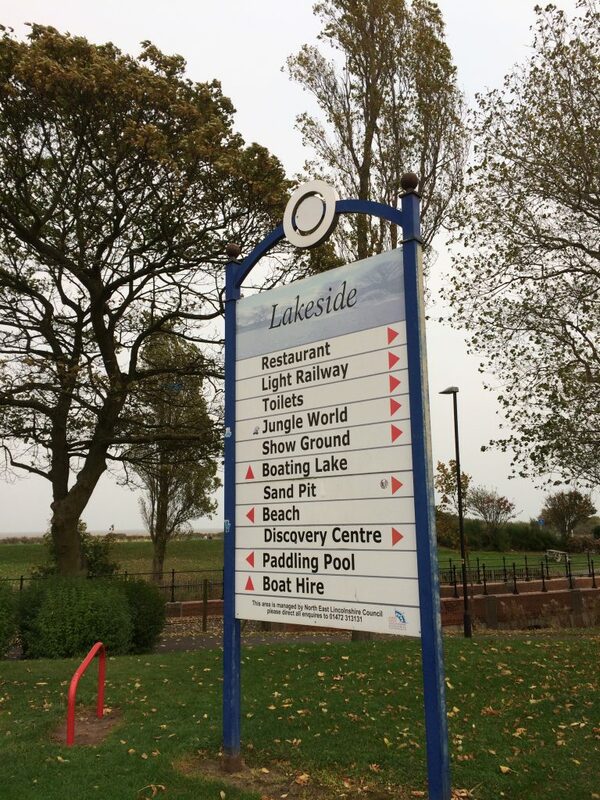 You can either walk along the beach right into the town centre, or by the lakeside, which has a gorgeous boating lake. 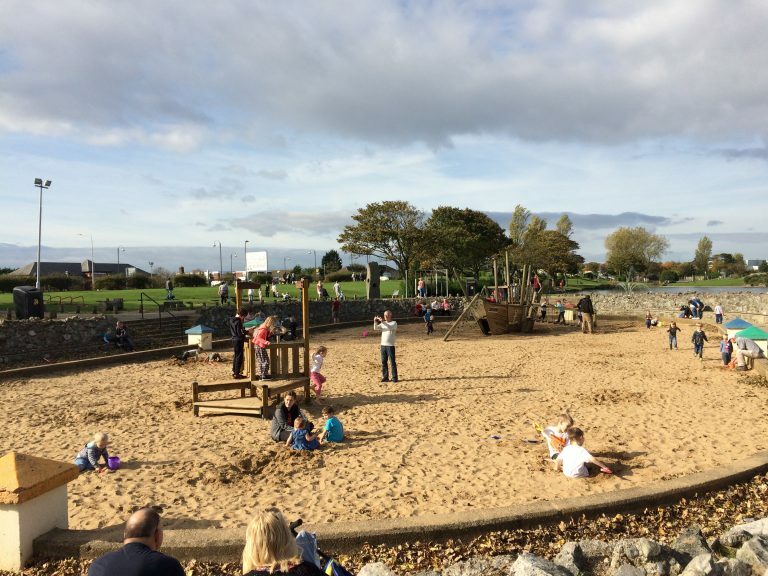 At the boating lake are picnic benches, ducks to feed, a nice community centre & cafe with play area inside, fountains, playground with sand pit and pirate ship, a play trail and Cleethorpes Light Railway. 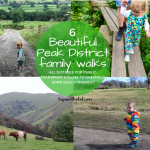 All of this is within walking distance and is fantastic if you love the outdoors. 3. There is a light railway so close to the park (we met Thomas & The Fat Controller)! 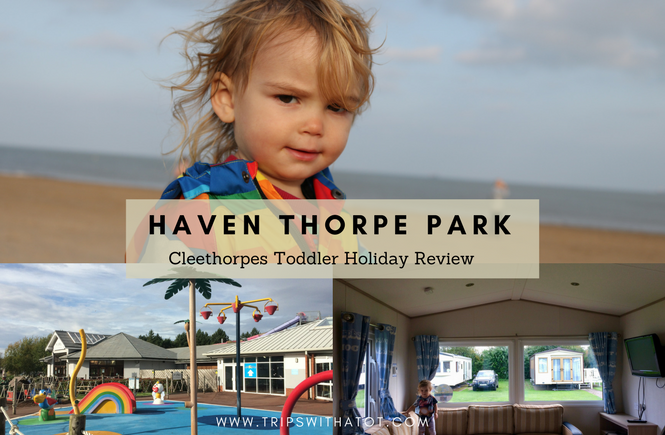 We actually booked a break at Thorpe Park because we had plans to go to Day Out With Thomas at Cleethorpes Light Railway, wanted to make a day of it and explore the area, so had the idea of staying overnight in a hotel. It worked out cheaper to stay the weekend at Haven, and I’m so glad we did. 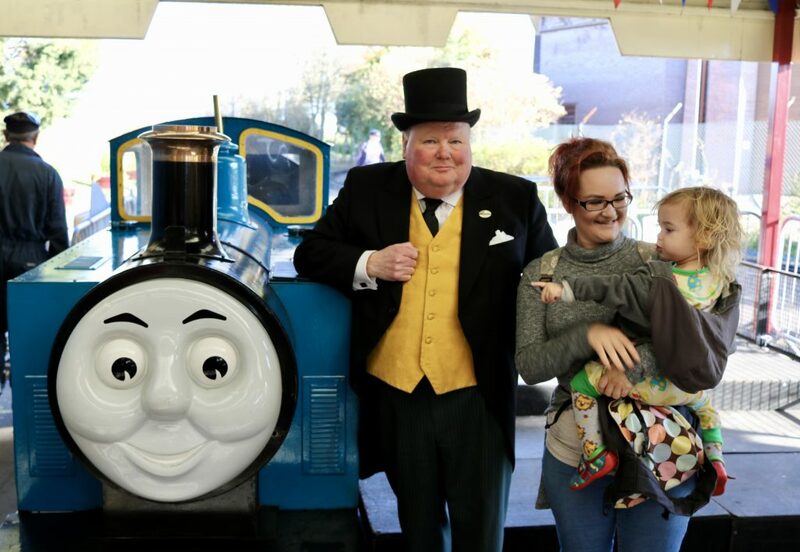 We loved Day Out With Thomas (review here! ), it was the most fun day ever! And even without thomas, who doesn’t love steam trains?! The Cleethorpes Light Railway goes all along the sea front and really close (10 minute stroll) to the holiday park itself. You can easily walk to and from the last stop of the light railway to Thorpe park, or stroll down to lakeside where day out with Thomas is. Experiencing a ride on the railway is a must, it’s very picturesque and rides past the boating lake, the beach and glides past trees. 4. Kids won’t be bored at Thorpe Park. Thorpe Park is most definitely a lot better for families with young children than the other Haven‘s we have been to. Firstly, in size, it is huge. There are go kart hire and a little land train (which is free) that takes visitors around the whole site… we didn’t even see half of it on foot. If you are a family with dogs, or just love the outdoors, there is so much space to explore with the nature reserve and beach right there. 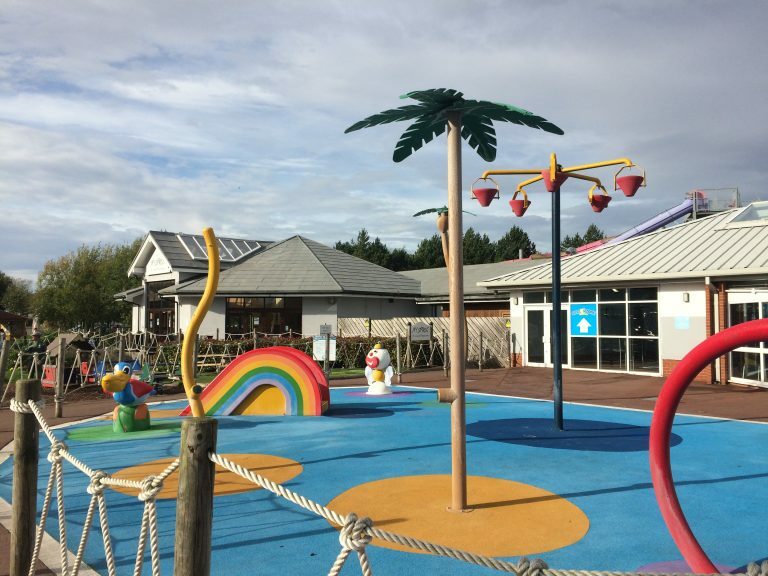 For other entertainment, the complex has an arcade, show bar, restaurant/bar, small soft play, swimming pool, and then outside you’ll be spoilt for choice… there are two playgrounds, both with sandpits, slides, swings and climbing frames. In summer there is an outdoor lazy river and space bowl, too. 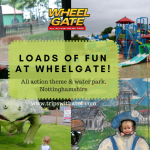 An adventure mini golf course which looked fun (we didn’t get time), fun fair with dodgems and trampolines, paddling pool, splash zone area, rope park and seating areas for picnics/eating/drinking. 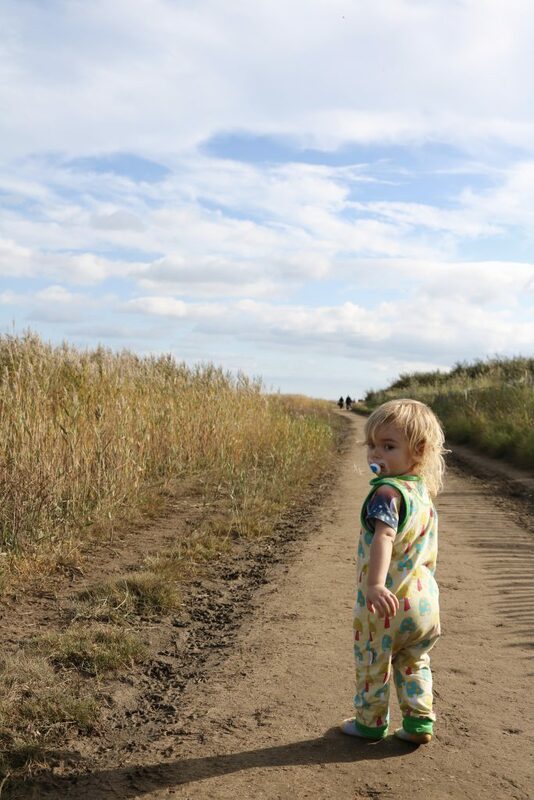 There is another playground in the touring/camping area in the park, ducks and geese around the parks, fishing lakes, ponds, landscaped areas suitable for toddlers to explore, and just lots of space! 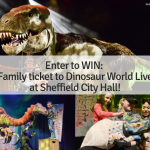 Live entertainment and activities are available to enjoy, too and included in a fun pass, these are typically evening shows, puppet shows, kids clubs, messy play activities, nature rockz outdoor activities and character meet and greets. Plan time to explore the area of Cleethorpes. 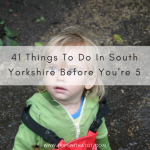 As mentioned above, there is loads to do around without going on a day trip and easily without a car. Do visit the boating lake, which would be wonderful for a summer picnic. Explore the beach, the nature reserve, and enjoy a nice walk. A day out at the Cleethorpes Light Railway is a must. 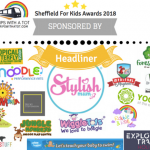 We really enjoyed the Magic Castle soft play centre which was only £2 on a Monday morning for 2 adults and 1 child; Eric had an absolute blast & it was the biggest indoor play centre we have ever been to. 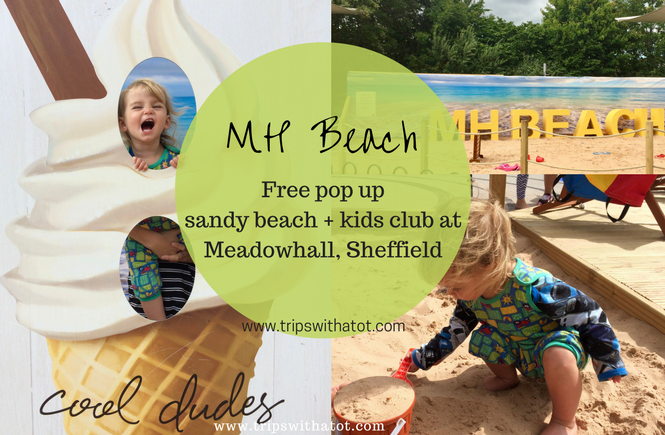 There are lots of places to eat and drink around, we ate at Brewers Fair which is very family friendly, and of course; chip shops! Pack appropriate clothes. 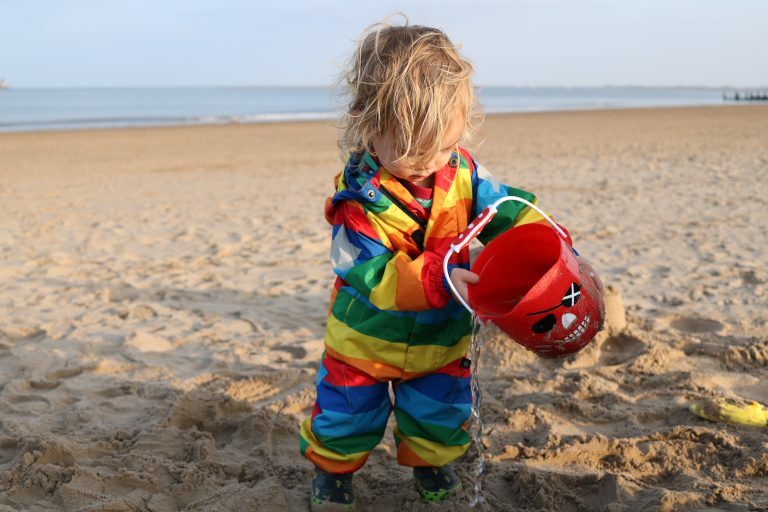 You’ll probably spend a decent amount of time outdoors with all the lovely things to see and do, so do pack appropriate clothes such as wellies/outdoor shoes, clothes for water play in the warmer months for the paddling pools/splash area, and if visiting in colder months think about taking spare clothes for paddling in the sea, exploring the nature reserve which can get a little muddy, and warm clothes for if it’s feeling a little breezy on the sea front. We were really lucky to get a very warm October weekend when we visited, and I had packed coats and jumpers! Be prepared to pay for extras. We went to Butlins earlier this year (read my review here) where everything is included, and compared to Haven this is a little bit different. 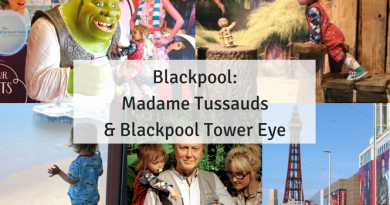 I really recommend getting a fun pass (these are included if booking direct, but not if booking using Sun Holidays or 3rd party) for the park which will include access into the entertainment complex; where you can use swimming pool, all the outdoor playgrounds and splash etc., arcades, show bar and restaurant. There isn’t much you can access without a fun pass and there are security always checking visitors for them so you really do need to get one; they’re so worth it! This is one of the reasons why we prefer to book direct. I really recommend browsing because off peak holidays are very reasonably priced, we just re-booked for Primrose Valley in 2018! 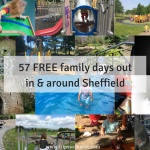 Aside from the fun passes, be prepared to pay out for extra things to do… especially if you have older children who may want to do some of the activities like junior pool party, adventure golf, water zorbz and funfair rides. We didn’t do any of these so saved the money due to Eric’s age but they did look really fun. Food and drinks are quite expensive on site (there are two convenient stores, show bar, restaurant/bar, fish and chip shop, papa johns and Burger King) and it is self catering so if you are staying for longer than a weekend I do recommend taking as much as you can with you to save money on buying food and drinks out. It’s so easy to have a budget holiday when staying at Haven, which is why we love it. Thank you for reading! 🙂 Have you been to Haven before? Which ones? 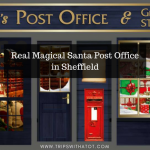 Please make sure to subscribe to my blog as I have another blog with video from this holiday; our Day Out With Thomas so don’t miss that! 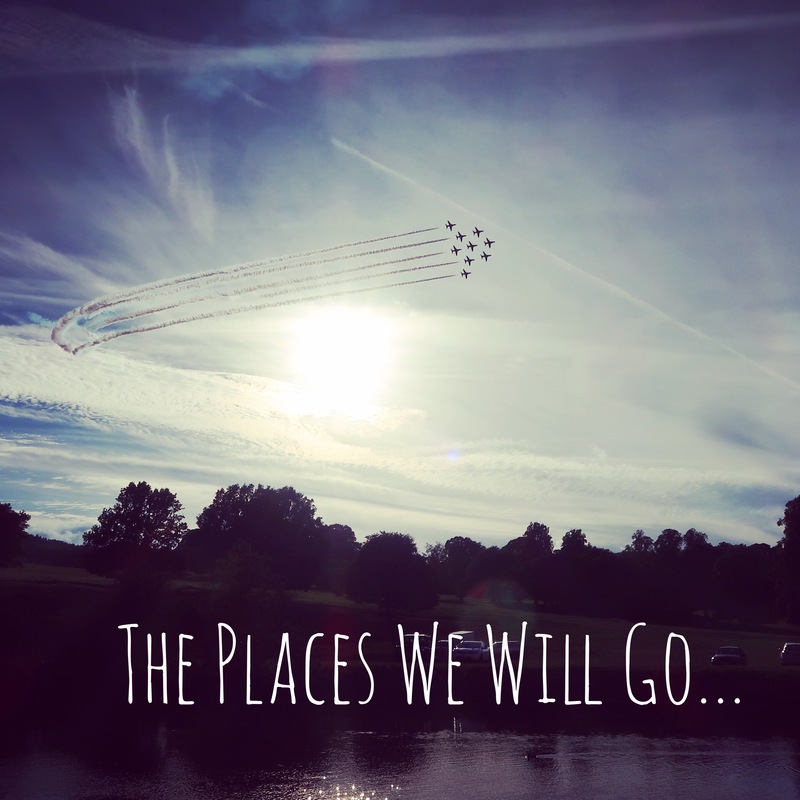 If you would like to stay up to date with all my latest what’s on, event info and local trips do follow me on Facebook where you won’t miss out on the latest. Oh, this sounds brilliant and what an amazing price! I need to get onto the Sun holidays, I need to check whether there is somewhere that will accept dogs. Thorpe Park sounds amazing, I’ll have to look into it. We were also very taken with the day out with Thomas, although we did it elsewhere. It was wonderful for the children to meet all their favourite characters.